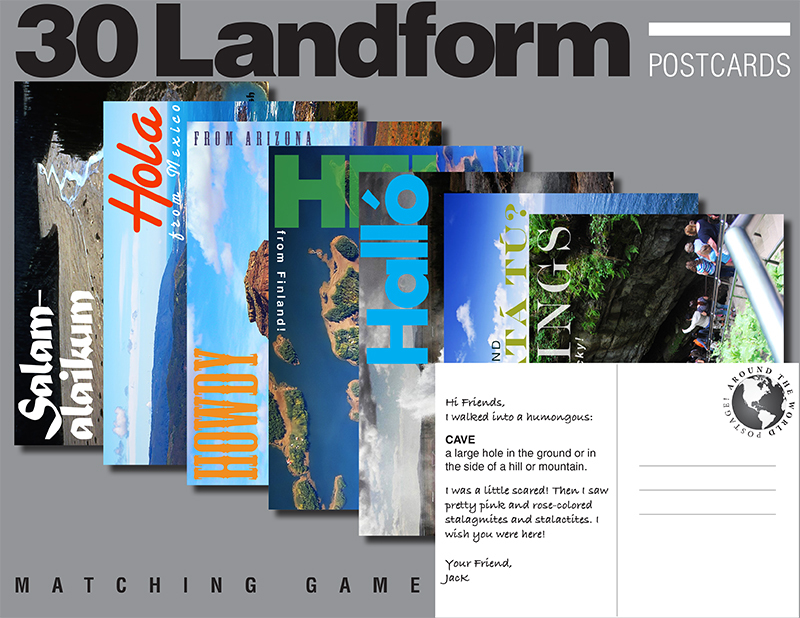 Kids identify 30 landforms through a fun game of matching the front and back of postcards! The front of each postcard has an image of the landmark, the location of the landmark and a greeting (in the language of the location). The back of each postcard has a friendly letter from "Jack" with the definition of each landmark. There are also blank postcards (fronts and backs) for kids to design their own postcards. That would have been a fun game with my kids were younger.